Bu, I just create a photo meme of Portrait on http://weekendportrait.blogspot.com/. That looks a great place to sit and study or relax and chat. The tree provides shade and a certain amount of privacy. I like your photo. Nice B and W. Looks like a beautiful front yard. What a great place to sit outside and read or visit with friends. 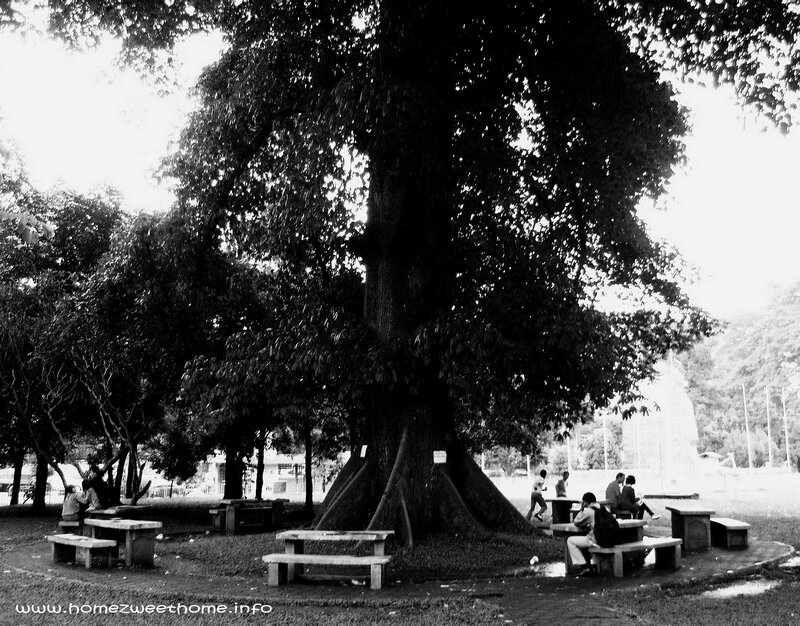 It look like this is a cozy place and I like that big tree! Awesome. That's a nice place to sit and a beautiful tree. I wonder if it is still there? that tree is huge! awesome tree!